Categories: Krishna, Scriptures, Srimad Bhagavatam. Srimad Bhagavatam is a gem given to us by the Lord Himself. 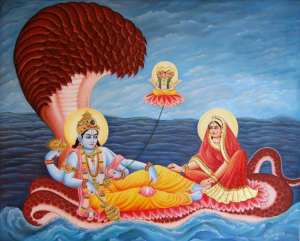 It is verily Radha Krishna swaroopam. It teaches us to live our life the proper way. In the tree of our Vedas and Upanishads Srimad Bhagavatam is the fruit, and Krishna Katha is the nectar. Once Brahma did tapas and Lord Vishnu appeared and asked Brahma what he wanted (boon). Brahma replied that he wanted to always be a great devotee of the Lord, and further said he didn’t want pride just because he wasn’t caught in rebirth. Pleased with Brahma, Bhagavan bestowed Srimad Bhagavatam to him in four slokas. Brahma knew it was his job to pass it on to someone worthy of it. All his sons left except Sage Narada, so he was the obvious person. But Brahma could not give it to Sage Narada, unless he asked for it. When he finally did, Brahma gave him Bhagavatam in brief and asked him to elaborate it. Being the right hand of the Lord, he didn’t have time to do it himself. So he had to find someone for the job but not just anyone, but a real rasika. Meanwhile down in Bhuloka, Veda Vyasa felt very depressed and worried when he looked at the future of the world. Then Sage Narada came, at once he felt at peace knowing all his problems will be solved. Narada came and told him, “You have written the Mahabharata but you have never written on the gunas and lilas of the Lord. So, that’s what you have to expound on.” The people of Kali yuga need something to enjoy the Lord, so Bhagavatam is the answer. Sage Narada told Sage Veda Vyasa Srimad Bhagavatam in brief and asked him to make it more enjoyable to read for us humans. Then Veda Vyasa expounded the slokas into Bhagavatam. But he himself could not spread it. He waited for the right person. 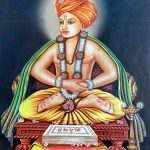 Veda Vyasa’s son, Shuka muni, a Jnani by birth was roaming in the forest. He heard some of his father’s disciples chanting a verse. It was so beautiful that he stopped and asked them what it was. They said that it was from Srimad Bhagavatam, which Veda Vyasa taught them. 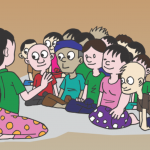 Shuka went and begged his father to teach him Bhagavatam and Sage Veda Vyasa complied. 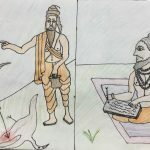 At the dawn of Kali Yuga, King Parikshith, the grand-son of Pandavas, was cursed by a rishi’s son that he would die of snake bite in seven days. When Parikshith learnt about the curse, he gave up everything and went to the banks of River Ganges. 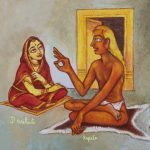 Knowing Parikshith was the perfect listener, Sage Shuka came there on his own accord and narrated Srimad Bhagavatam for seven days. 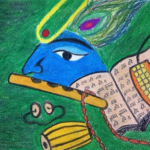 At the end of the seven days, Parikshith reached the lotus feet of the Lord. Apart from Parikshith, there were a number of people around who also heard Srimad Bhagavatam from Sage Shuka. One among them was a Pouranika named Sootha Pouranika. Later, in the Naimisharanya forest, the Sounakadhi Maharishis performed a ‘Satra Yagna’. 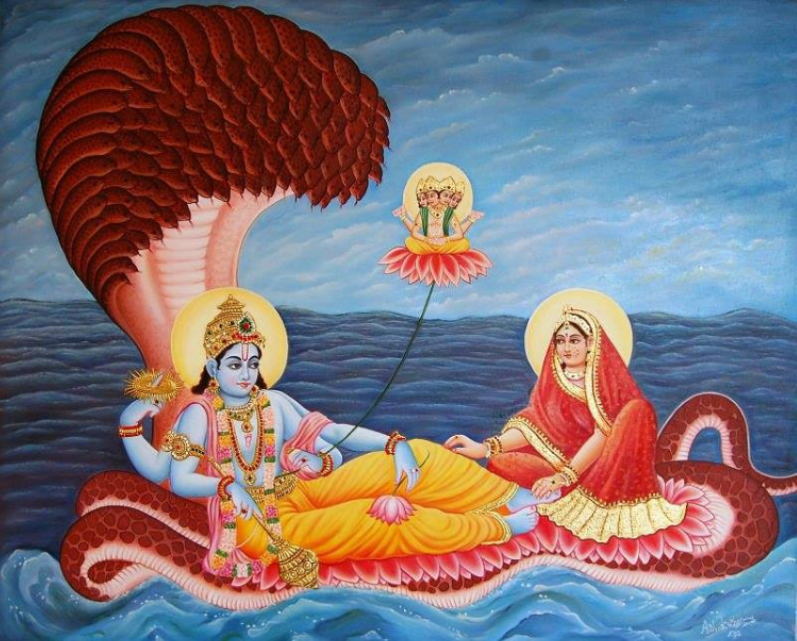 They then requested Sootha Pouranika to expound on Srimad Bhagavatam, which he happily did.